If stepping into Toy Joy wasn’t enough to rekindle the sweet nostalgia of childhood, surely walking into Yummi Joy can summon the nostalgia of childhood sweets. A new candy shop, Yummi Joy promises dairy-free Sweet Ritual ice cream, specialty coffee, and shelves and shelves of colorful sugary treats. Local Italian eatery Numero 28 quickly became a neighborhood favorite when it opened its doors a couple of years ago and began serving up Neapolitan pizzas, delicious pastas, perfect espresso drinks and gelato galore. Now, it's building on that success with its newly-opened space next door: Alimentari 28, a casual Italian bakery and cafe that already feels like home. Meet the women of the 2SD in Austin, Texas. This month: Rochelle Rae, founder and owner of Rae Cosmetics. February 14 is fast approaching here in the 2SD (and everywhere), and happy hearts are setting their sights on the perfect way to spend the evening. Reservations around town are filling up fast, but never fear: Valentine's Day in Austin's 2nd Street District offers a plethora of ways to treat your honey right. Ready to spoil the object of your affection? Read on for menu specials and gift ideas galore. Sink your teeth into some New American cuisine at The Bonneville, which offers a sumptuous 4-course prix fixe menu ($65 per person) on the 14th, including smoked mushroom tian, ricotta agnolotti pasta with mini chicken meatballs, warm lobster nicoise, tiramisu and more. Dinner comes with a complimentary Persephone Punch, and you can add wine pairings for $30. Can't decide between surf and turf? Have both in style at III Forks, offering a three-course prix fixe menu ($160 per couple) from February 10 through 14. It includes dinner for two featuring filet mignon and coldwater lobster tails served with whipped potatoes, off-the-cob cream corn, vine ripened tomatoes and spring onions, and chocolate lovers' dessert. Additional wine pairings and champagne are on offer to make the evening pop. Lovers of the grape, rejoice: CRU Food & Wine Bar on 2nd Street is serving up a perfect 4-courses Valentine's meal with your choice of filet of sole with crawfish nantua, roasted mushrooms and jumbo asparagus; beef tenderloin with pommes puree, haricot verts and green peppercorn sauce; or lamb loin with provencal vegetables, roasted baby yukon gold potatoes and sauce choron. The $55 prix fixe menu runs alongside an exhaustive list of wines from all over the world; instead of committing to just one, try one of CRU's famed wine flights to find your favorite vintage. In the mood for some laid-back elegance? Bring your valentine to La Condesa for a romantic menu of specials featuring fresh, seasonal ingredients from Texas providers. Its exclusive seasonal menu can be enjoyed a la carte or as a shared plate experience to elevate your dinner favorites to the next level. Then, finish the night strong at La Condesa's adjacent bar, known for its specialty cocktails like the Alma Blanca or a classic pisco sour. If simplicity is key and all you want is a touch of old world romance and some finger-licking good Neapolitan pizza, look no further than Numero 28. Treat your favorite person to a delicious southern Italian experience: indulge in fresh pastas, oven-fired pizzas, small plates and Italian wines served in a warm and intimate atmosphere. Or work up a sweat together with fitness gear from St. Bernard. For more tips on enjoying the 2nd Street District and everything it offers, follow us on Facebook, Twitter and Instagram. Have yourself a happy heart day and we'll see you around the neighborhood! When it comes to wellness and worknig out, the arrival of the new year offers a perfect starting point from which we can step up our game, renewing our resolutions and taking time to sweat each day. For Austinites, opportunities abound to try out new fitness routines, incorporate healthy foods into their day-to-day routines, and get those heart rates up while keeping stress at bay. Thanks to the concentration of wellness-oriented businesses downtown, it's easier than ever to keep your fitness resolutions in the 2nd Street District. Read on to learn about the flavors, fitness brands and fashion retailers just waiting to make your 2017 as healthy as can be. Whether you're in need of a fresh pair of yoga pants, the perfect running shoes, new water bottle or high-performance pullover to keep you warm in the winter on the hike and bike trail, Saint Bernard's got you covered. The national sports outfitter has been curating and selling the best sporting goods and gear since 1978, and its Austin outpost keeps downtown denizens all geared up for whatever adventures they choose to take on. Ballet Austin isn't just the home of graceful pro ballerinas; it's also a hub for community fitness classes, instructing Austinites on the basics and finer points of everything from yoga and Pilates to hip hop and, yes, ballet. Its Butler Center for Dance and Fitness hosts more than 80 classes a week, including a hotter-than-hot Videodance series with offerings like the Beyonce Get Me Bodied workshop, running Feb 9-23. If you're feeling the need to shimmy, shake or pirouet your way to peak fitness this year, this is your spot. Ready to push yourself to the limit and do some serious cardio? RIDE Indoor Cycling is ready to put you to the test in its studio at Lavaca and Cesar Chavez. Buy a series of classes or just sign up for a trial class and shoe rental to get a taste of the action. Daytime parking can be validated in the AMLI Downtown and City Hall garages (the latter being best for early-morning riders). 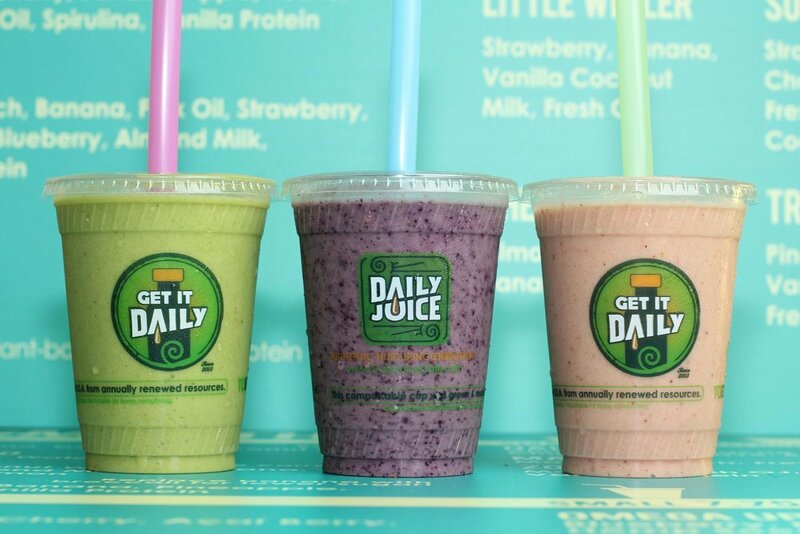 Once you've worked up a sweat and need some refreshment, pop into Daily Juice for a juice, smoothie, salad or acai bowl. This Austin original has been keeping customers nourished and energized since 2003, and its location near AMLI Downtown is perfect for rejuvenating yourself after a lake or city run, a dance class or an invigorating indoor cycling session. Or, if it's just a healthier breakfast or lunch alternative you're after, look no further than this favorite local spot where "fresh" is always the word of the day. Want more inspiration for things to do, see, taste and try in the heart of downtown Austin? Keep an eye on the 2nd Street District's happenings by following us on Facebook, Twitter and Instagram. See you around the neighborhood! 'Tis the season to bundle up, go off in search of the perfect gifts for the ones we love, and enjoy the delights of December. In the 2nd Street District, that means special events galore, where locals and visitors alike stroll along our sidewalks, supporting downtown businesses while indulging in holiday treats and entertainment under the twinkling lights. So far this month, we've hosted a handful of glee-filled gatherings, from the 2nd Street Social Sip & Stroll to our first-ever Santa Lounge. Take a gander at the fun we've been having in the heart of Austin this holiday season--if you breathe deeply enough, you just might catch a whiff of hot chocolate. For the inaugural Santa Lounge, held at 3TEN Austin City Limits Live, a host of local businesses got in on the action: Cafe Ruckus provided piping hot cocoa while Bribery Bakery kept things sweet with free treats; Rae Cosmetics prepped everyone (the big guy included!) for their Santa photos taken by Zappy Springs; Toy Joy kept things hopping with an awesome kids zone; and since it's not a celebration without classic holiday cartoons, Violet Crown Austin knew just what to bring to the screen. For the 2nd Street Social Sip & Stroll, holiday shoppers enjoyed cocktails at local retailers like Flor, Saint Bernard, Sikara & Co., and Teddies for Bettys, taking in the sights of the student-decorated shop windows along the way. Window competition judges included KEYE's Taylor Ellison, Mix 94.7's Brad Booker, and Austin Way's Kathy Blackwell; this year's winner was Colleen McCool, who gussied up the League of Rebels Menswear window with a festive, dapper theme. And the newest visual addition to the 2SD landscape, sure to pop up soon in plenty of Instagrams (and rightly so), is the custom "Love Will Win" mural installed by beloved local street artist Mike Johnston and unveiled to an approving Sip & Stroll crowd. Curious about what's next in the district? Follow us on Facebook, Twitter and Instagram to keep up with what's going down, and stay tuned right here for more holiday happenings in the 2SD. Black Friday and Cyber Monday have become household terms over the years, but no retail holiday says "Austin" quite like Small Business Saturday. Dreamed up by American Express and gaining traction in recent years as more holiday shoppers support local businesses while crossing off items on their gift lists, the event falls on November 26 this year. Luckily for Austinites, the 2ND Street District is a one-stop destination for all things festive and fun, and this Small Business Saturday, deals and discounts abound. On Saturday, November 26, head downtown and park in either AMLI garage (2nd and San Antonio or 2nd and Lavaca) to enjoy 2-hour parking validation from 10am-5pm with proof of purchase from any local business. Buy one, get one 50% off all regularly priced Sikara brand merchandise bought with your AmEx at Sikara & Co. It's the most wonderful time of the year, and the shops and eateries of 2ND Street District are ready to celebrate with you. Come on down and stock up on gifts for everyone on your list, plus a little something for yourself. Stay tuned for more holiday happenings in the heart of downtown Austin as the district hums with year-end activity. Guest blogger Jessica Beattie, owner of HACIENDA shares her tips on creating a magazine-worthy bed. Photos by Katie Jameson. With HACIENDA's recent expansion into all things bedding, we thought it was only appropriate to ask shop owner, Jessica Beattie to give us her tips on how to make your bed look as stylish as the magazines. 1. Start with a simple fitted sheet- we're currently coveting our newest LinenMe sheets that are made in an incredible linen fabric available in a teal blue, raspberry and sunflower gold. 2. Lay your flat sheet pattern down (if there is a pattern). Then tuck in all sides. 3. Place your comforter over the flat sheet and fold both the flat sheet and comforter 1/3 of the way down the bed. Tuck your comforter in on all sides for a more polished look. We recommend a goose down comforter covered in our MixMax Barcelona jersey duvet. 4. After you've folded the comforter, place your largest pillows against your headboard. Traditionally this is your king size pillows. 5. Next, place either queen size or medium size pillows in front and center. 6. My favorite part, place a variety of decorative pillows in different sizes and textures in front of the medium pillows. I recommend our Aviva Stanof pillows with hand-painted silks, hand-stitched beads and dip dyed furs - each pillow is a work of art! 7. For more texture, I typically add a throw blanket at the foot of the bed. The versatility of the Hacienda Collection Turkish towels are perfect fit for the foot of the bed because they can be both decorative and functional. HACIENDA Austin showcases locally sourced and globally inspired custom furnishings and curated gifts for the modern ranch lifestyle. Motivated by travels that took her from the Outback to the Arctic, owner, Jessica Beattie, has a keen eye for scouting well-designed objects that celebrate local artisans. In addition to a curated assortment of luxury brand goods including R&Y Augousti exotic leathers and fine European bed linens, discover our private label, HACIENDA Collection, ranging from Turkish towels to glassware to body care. 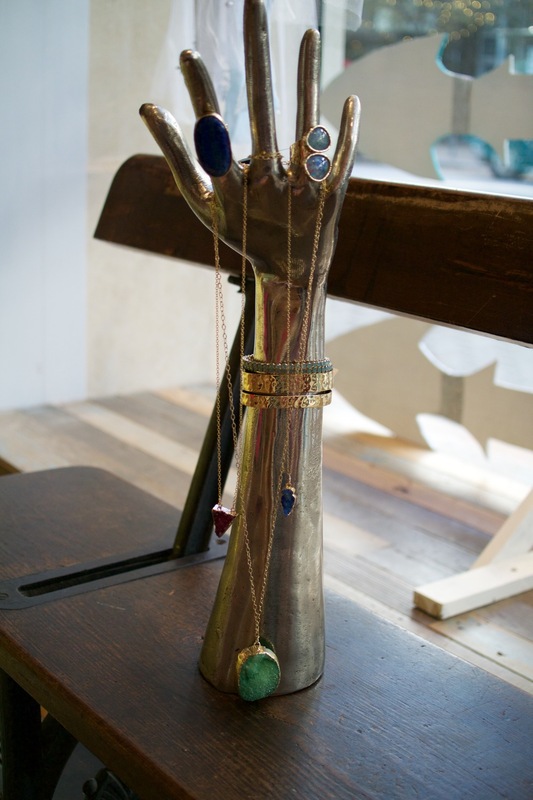 Shop HACIENDA at our downtown Austin location, 204 Colorado St. Austin, TX 78701 or shop online at haciendacollection.com. For more information follow along on Instagram and Facebook. ModCloth has set up shop in 2ND Street District! Now through Memorial Day, the online purveyor of unique indie and vintage-inspired styles and home goods is hosting a pop-up shop at 249 W. 2nd Street. What can you find at ModCloth’s 2ND Street District shop? Everything we do at ModCloth is inspired and influenced by our vibrant online community, so we are relishing the opportunity to meet our fans ‘IRL’. Stop by the shop to snap a selfie and tag #ModClothIRL for a chance to win a $100 gift certificate. We can’t wait to meet you! Need a break from all of the festivities? Here's our guide on the best places to refuel, relax and refresh in the 2ND Street District. Stop by Jo's Coffee for a breakfast taco and their house latte, The Turbo, Daily Juice for an instant dose of vitamins and nutrients and Cafe Ruckus for a coffee or tea. Treat yourself to a mani and pedi at the oh-so-chic Lacquer and a massage at milk+honey. Get a haircut, straight razor hot towel shave and a relaxing executive hand detail, all without leaving your oversized, comfortable barber chair at Finley's Barber Shop. Ladies, freshen up at local Austin favorite Rae Cosmetics. Best known for their heat and perspiration-resistant cosmetics that help improve your skins natural, healthy appearance, you'll at least look like you got a full night's rest! That's not all...View the full list of boutiques, restaurants and entertainment here. Cheers! Valentine’s Day is right around the corner! Whether you are crafting your very own wish list, dropping some hints to your significant other or shopping for friends, family and loved ones, the 2nd Street District has you covered. Here’s what’s on our gift guide this year. 1. Prize: We’re swooning over the Fornasetti Baccio lidded candle keepsake ($175) crafted of natural vegetable wax and poured into a glazed ceramic vessel featuring the lithographic image of house muse Lina Cavalieri’s nose and mouth. Master perfumer Olivier Polge crafted the invitingly warm Otto signature scent of the candle. Or, try their Montale Paris eau de parfum spray ($170) with scent notes of vetiver from Haiti, Moroccan cedarwood, patchouli, grapefruit, elemi, and black pepper from Madagascar. 2. HACIENDA: Right in time for Valentine’s Day, Hacienda has launched the new, in-house fragrance, Texas Rose. This is a custom scent developed by HACIENDA using all organic ingredients sourced in Austin. They are launching this product with their essential tin (good for lips, skin and perfume), a sugar lip scrub, and a bar soap – all in time for Valentine’s Day. Coming soon: enjoy this scent and other ones from their collection in a shea butter body cream and sugar body scrub. Honoring the new fragrance and the romantic holiday, enjoy complimentary Bellinis at the shop over Valentine’s Day weekend. 3. SIKARA & CO.: Give the gift of jewelry with the small Criss Cross Heart Wire pendant ($90) from Sikara & Co. Modern and futuristic in design, this pendant was inspired by a trip to Cairo. It’s the perfect Valentine’s Day gift. Don’t miss entering their blog contest – each individual who submits an entry receives a gift card and the winner – a piece of jewelry! 4. Jo’s Coffee: Jo’s Coffee will be offering their Monday night special on 2/14. Enjoy 2-4-1 burgers – perfect for a date or hanging with a friend! It’s truly the best-kept burger secret in Austin and the perfect casual spot for a Valentine’s Day celebration. 5. lll Forks: Enjoy the special Sweetheart Menu at lll Forks from February 6th-February 14th. This couple’s menu ($170) includes your choice of salad or lobster bisque to begin, two 6 oz. filets mignon accompanied with two 6 oz. cold water lobster tails for your entrée served with whipped potatoes, off-the-cob cream corn and vine ripened tomatoes and spring onions. For dessert, enjoy a Chocolate Lovers’ treat. 6. 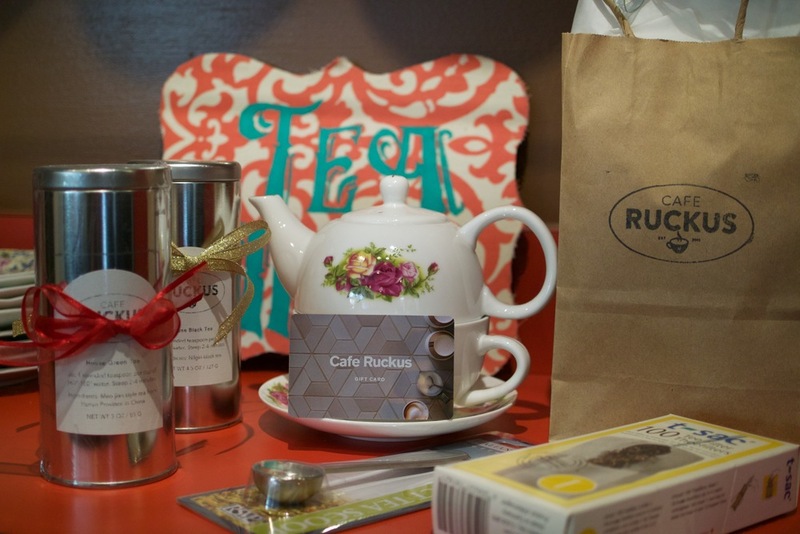 Austin Rocks: If you are looking for something special for someone special, Austin Rocks has a variety of gift ideas at a convenient array of prices. From books, pillows, picture frames, coffee cups and more – there’s a little love for everyone at this 2nd Street District gem. 7. Rae Cosmetics: Pucker up! Look and feel extra beautiful this Valentine’s Day with 50% off their Valentine’s Day collection with the purchase of any full price lip color. 8. Milk + Honey: This luxe Austin spa favorite has the perfect Valentine’s Day packages and gift ideas. Give the gift of a hydrating pedicure, facial, couple’s massage – or even a gift card. The options are truly endless when it comes to Milk + Honey and pampering! 9. Teddies for Bettys: Make your Valentine’s Day extra special with new pieces from Teddies for Bettys. This year, we’re shopping gorgeous lace pieces by Envol from Simone Perele Official and new pieces from Marie Joe in Valentine Red. 10. Toy Joy: We truly can’t get enough of Toy Joy! A few things on our gift guide this year for Valentine’s Day: a Giant Heart by I Heart Gus ($99.95), Cockatiel and Parrot masks by Dillon Inc. ($29.95), a Giant Rilakkuma Plush ($199.95), Pixel Heart glasses by Elope ($8.95), Valentine’s Plush items by GUND ($16.95-$21.95), mini red piano by Schylling ($84.95), Animail Heart by Marky Sparky Toys ($11.95), and much more. Be sure to stop by Toy Joy to see the full lineup of Valentine’s Day gifts! What are you doing New Year's Eve? Prep and prepare for festivities right here in the 2nd Street District. Stock up on your favorite sparkly baubles at Eliza Page. From rings, to gemstones and more, it's the perfect way to add a bit of glamour to your New Year's Eve night. Get beautiful at Milk+Honey. Schedule a last minute facial to get your skin really glowing for evening festivities. Or, you can always pop-in for a blowout! Book your appointment by calling them at 512-236-1115. Celebrate New Year's Eve this year at Cru. Make your reservation today to enjoy their spectacular New Year's Eve celebrations with your favorite wine in an intimate space. Make your reservation by calling 512-472-9463. Turn New Year's Eve into a special date night or time together with friends at The Bonneville. With delicious New American fare- it will be a memorable evening you won't forget. For the holiday, they are offering a delectable four-course prix fixe menu at $75.00 a person - including a champagne toast! Wine pairings are available for an additional $35. Entree options include Quail a la Mattone, Crab Stuffed Filet of Beef, and more. Make your reservation by calling 512-428-4643 or visiting their website. Shop for some dazzling new earrings to complement your dress at Hemline. From cocktail dresses to the perfect accessories, style is guaranteed at this chic Austin boutique. Nothing says date night quite like Violet Crown. Plan a low-key New Year's Eve and enjoy a movie and delicious bites and cocktails at this 2nd Street District gem. For the ultimate beauty statement, take advantage of cosmetics and gift ideas at Rae Cosmetics. Enjoy 10% off gift sets and 20% off makeup applications the through January 2nd - $60 for a full makeup application and $35 for just eyes. Both include false lashes! Call Rae today and plan your special day: 512-320-8732. Not sure what to wear this New Year's Eve? Stop by Francesca's and plan your entire outfit! From shoes, to dresses, to handbags and accessories - you can pull together a New Year's Eve look in a cinch. Stil searching for a few last minute gifts? 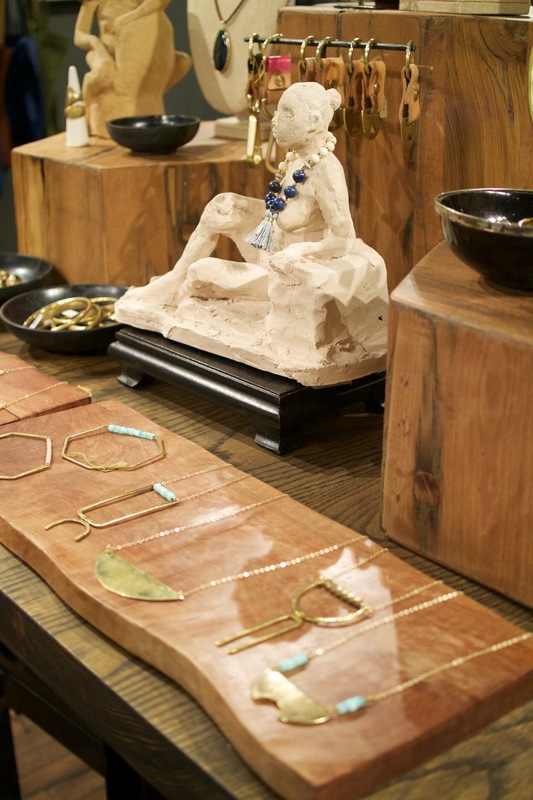 This season, we've pulled a variety of items at some of our favorite boutiques and stores. We've rounded up some of our top picks at under $100. Find the perfect present for a co-worker, client, family member, loved one or friend. 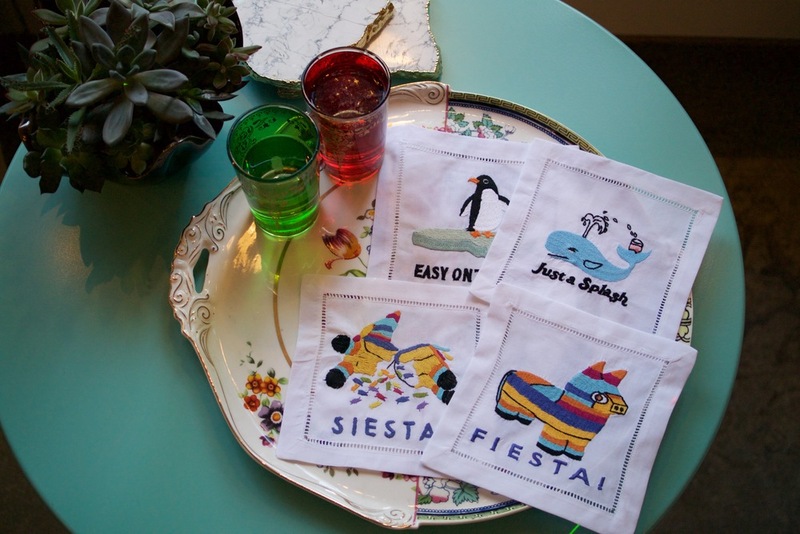 From embroidered cocktail napkins to jewelry - there's something for everyone in the 2ND Street District. Happy shopping! For most of us, summer means traveling, tan lines, and playing in the sun. For restaurants, however, this season is a time to change the menu and try new dishes. In the 2ND Street District, where we are all about community and giving back, the chefs at our restaurants endorse farm to table techniques while still keeping things interesting with local produce. What is farm to table? It’s what happens when a restaurant takes what is given to them by local farmers instead of from across the country or the globe. This not only supports local, but also spurs creativity among chefs. While our 2ND Street chefs agree that farm to table cannot be carried out 100%, when local produce is in season, the dishes are even more delicious. We asked some of the chefs and restaurant owners from the 2ND Street District how they work with farm to table, what original creations they’ve come up with, and what inspires them. "All of our pasta is made from scratch, in house every morning." Caponata con crostini is a Sicilian dish made with eggplants olives, celery, capers, onions & tomato topped with tomato sauce. Bresaola Della Valtellina is a beef that looks like prosciutto and is featured in Prosciutto e Mozzarella (on the lunch menu) with Parma prosciutto, fresh mozzarella, tomato, basil, arugula, and chipotle aioli. "We are also the biggest draft wine provider in town. Our concept is 'a fresh glass all the time.' Bottled wine has sulfites to preserve it, which can give you a headache. It isn't stored at the best or consistent temperatures, which can ruin it. We are temperature conscious. With the draft wine, it comes in a keg at the right temperature, and then it goes straight to the cooler on draft." "My main inspiration is the passionate I have for food and wine. I think eating and drinking well and healthy is basic for a great living on these years." All beef is from Nebraska. We use prime beef, top 2% in the world. We try to pair dishes with the right wine or liquor, and we’ll go off the menu for that. We like to take four course meals and pair each course with a suitable wine or cocktail. We’ll make a four-course tequila dinner without making a single margarita. It forces us to get creative. 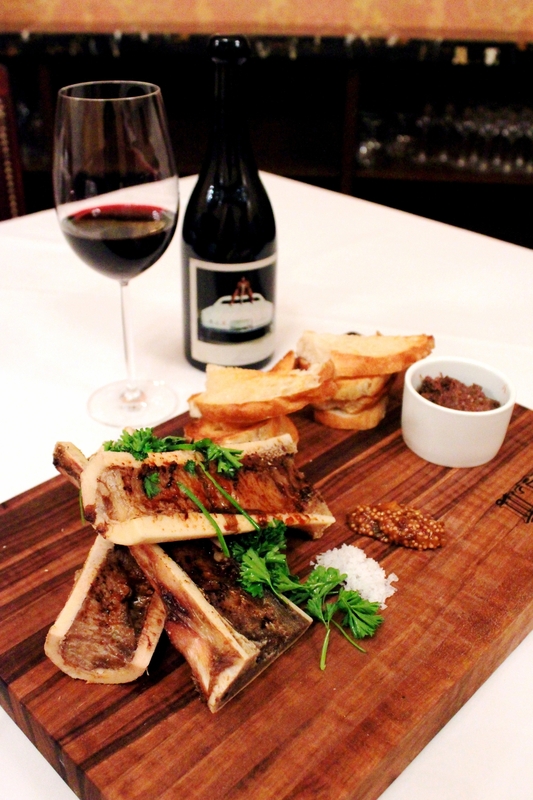 New appetizer: Wagyu marrow bones, served with beef cheek marmalade and fruit mustarda and sea salt. Paired with a red wine, Orin Swift Machete, California 2013. Red blend of Petite Sirah and Syrah and Grenache. The wine has aromatics of ripe blackberries, mulled raspberries, acacia flowers, toasty oak, and herbal notes. The mid palate is exposed to an unadulterated array of crushed berries, dark chocolate, black fruits, & a tinge of creamy espresso. Original creation: Chicken-fried lobster tail battered & deep fried with sundried tomato butter on the bottom and asparagus spears. Paired with: 2014 Vouvray is a Chenin blanc From France, this wine is slightly dry, while holding purity and intensity. It is very floral with a crisp acidity. Experimentation and creating within our own menu. Adrian will try anything. He’ll prompt me to try new things like chicken-fried bacon and modify it with vanilla ice cream and chocolate sauce. Stay tuned for more from your favorite 2SD restaurants! "We partner with Sustainable Food Center, which hosts a chef series every fall. I’ll call or order via email & take what Johnson’s Backyard Garden has to get rid of in excess. This is how we create our specials. We try to switch our menu 4 times a year." Zanahoria: The salad has 4 different types of cooked carrots: roasted with salt & pepper, shaved raw, pickled, and chimichurri. The carrots are purple, red, orange, and yellow so the finished product looks like a campfire. They’re placed on top of crispy quinoa and a cardamom yogurt that comes from White Mountain Yogurt in East Austin. “We go to the farmers markets and farms ourselves, but you can’t do it 100%. Certain things you can’t get local, like scallops, which come from the East Coast. We use Sustainable Food Center, where they know how their animals are raised. Other partners include Republic Square and Boggy Creek Farms, both in Austin, and IO Ranch in Lampasas. Local Heirloom tomato salad with house-made bacon jam and avocado. Tomatoes come from Johnson’s Backyard Garden and Boggy Creek. The Bonneville makes its own bacon and smokes it in-house. If you love bacon, you must come in and try it...it is unbeliveably delicious. Watermelon & tequila-infused jalapeno margarita: Watermelon is symbolic of summertime. The cocktail is sweet in the front of your mouth with a kick in the back. WineDown @ the ACL Live Moody Theatre, every Tuesday this summer! THE WINE DOWN is back! This free summer concert series is presented by MARK WEST WINES and returning supporter 2ND Street District, benefiting the Austin Music Foundation. Moving to Tuesday nights, this year’s The Wine Down series will remain indoors on the air-conditioned concert floor to cool down the hot summer evenings. The popular music series has become an anchor to driving people downtown to experience lively nights of shopping, eating, and strolling down the 2ND Street corridor. The Wine Down is FREE, open to the public, and takes place from 5-7 PM at ACL Live at The Moody Theater. Each evening’s entertainment will once again be emceed by KGSR, and each event will host giveaways for merchandise from businesses around the 2ND Street District. The 2015 series kicks off with a bang Tuesday, June 16th, and runs every other week through August 25th. The August 25th finale with QUIET COMPANY, with special guest BEE CAVES, is hosted by the Austin Music Foundation. An optional $5 donation at the door will go directly to AMF. Special thanks to our partners 2ND Street District, KGSR Austin, Visit Austin, Texas, and Elite 25 Ausin. Winner of 2011 Pollstar Award: “Best New Major Concert Venue” Austin City Limits Live at The Moody Theater (ACL Live) is a state-of-the-art, 2,750-person capacity live music venue that hosts approximately 100 concerts a year. It serves as the new home for the taping of the acclaimed KLRU-TV produced PBS series, Austin City Limits, the longest running music series in American television history. ACL Live is nestled next to the W Austin Hotel & Residences, which are both located within Block 21, the first mixed-occupancy building of its type in the world to be LEED certified. LEED is a mark of excellence developed by the U.S. Green Building Council acknowledging measurable performance attributes that benefit human and environmental health. ACL Live is the premier destination in Austin for live performances as well as numerous special and private events. The sun is out and we are ready to show some skin! With spring on our doorstep, here are some trends to spot in the expressive city of Austin. Hyper-feminism: According to Luxe Apothetique, fashion is returning to the 50s. Housewife style dresses with a womanly waist will show off those beautiful, classic curves that make women women. But hasn’t that been done before? Sure, but this time around the frilly, feminine style will be juxtaposed with something sharp and edgy, like a bomber jacket or sharp jewelry (triangles, anyone?) Another way to add a rough edge is by wearing a piece of druzy jewelry. Kendra Scott is a big fan. According to Luxe, it’s all about looking “handmade in production or appearance.” Druzy jewelry looks like it was pulled straight from the earth. Austin style is laid back and effortless (at least that’s how it should seem). Hairstyles are a little messy, but done on purpose. Quality, designer jeans have a hole in one knee—or both. It’s girly, but grungy. Sweetness with an edge. For Francesca’s, hyper-feminism comes in a slightly different flavor. The store is filled with soft blues, bright mint greens, and delicious shades of pink. However, many pieces have tears and crochets. Sweet spring pieces are paired with roughed up leather shoes and bags or jackets with fringe. Kimonos and paisley patterns are yet another way of countering a feminine piece with something loose and wild. Francesca’s also promotes a Southern preppy look, something casual but put together. You can wear something made of chambray fabric, either dressed down with flirty shorts and sandals or dressed up with wedges and pearls. Regarding accessorizing, Francesca’s always has a great selection of earrings of all sizes and styles. They also offer statement necklaces as well as linear necklaces, which are popular for layering. Linear necklaces can mix metals and different types of charms, because sometimes it’s impossible to choose just one. While Luxe draws on the 50s and Francesca’s embraces a southern class, Langford Market draws on New York Fashion Week and the tones of the 70s and 90s. From the 70s returns the mod, shift-style dress with no waistline for eternal comfort. Céline gave plenty of examples of a clean, modern silhouette on the runway. From the 90s comes crop tops with high-wasted jeans as well as combat style with shoes like Dr. Martens. (Dr. Martens make great rain boots when goulashes don’t seem to go with your outfit.) Cutouts, perforated patterns, and mesh are also popular textures. Gingham patterns and longer hemlines can be seen making a comeback with the 50s housewife style aforementioned by Luxe Apothetique. To accessorize, Langford encourages tribal jewelry and statement pieces. Like Francesca’s, Langford suggests the idea of layering delicate necklaces, anywhere from three to five at a time. As seen with Céline and Louis Vuitton, wearing one big mismatched earring with a stud on the other side touches again on the idea of an edge that juxtaposes your feminine pieces. On a different note, norm-core style can also be exercised when you want to go against the runway. Keds and Converse round out a look with a minimalist touch. Overall, Langford says to keep it simple with colors, wearing neutrals and blushes. Even though it’s spring, you don’t need too much color to make a statement. What are you most excited for this spring? Which fashion piece are you going to look for to add to your closet? Leave a comment below! Elizabeth from Local Savour plans Valentine's dates for the newly coupled to the long-time lovers. Swirls, suede, and tons of embellishment: recent runways were filled with references to the "Haute Hippie." Set your Instagram filters to "1977" and catch Austin Rocks' Jasmine Gomez's take on one of this season's biggest trends. We're proud of being 75% locally owned and operated. Stop by and meet the people that make The 2ND Street District Where Texas Warmth Meets Austin Cool. How many years Have you been in business? In business for 26 years. Why do you love what you do? There is nothing better than finding your inner child and having fun! What’s the coolest thing about Austin? The coolest thing about Austin is it's eclectic indy spirit. What’s your favorite product or menu item in your store or restaurant? Our favorite product (and everyone else's) is our riding Rody! Tell us a fun fact about you or your business. Adults secretly love us just as much as kids! Be sure to check out Toy Joy during White Linen Night for their event: REBOOT 2.0, The Assemblages of Adam Miller at 6PM August 2ND!